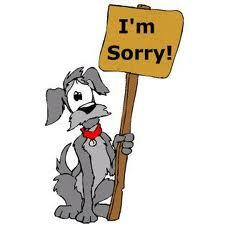 I haven’t been on-line much lately and for that I apologize. I like to post every couple days — usually on my “days off”; Tuesday, Thursday, and Saturday — but I’ve just been darned busy with so many other things. It’s not that I don’t think about the blog and ideas. I have over 50 drafts where I place ideas to be fleshed out later. That’s a lot of ideas! My pet idea is to write about “the Chair”. I hope to get to it soon. So, please forgive me for not being more conscientious about writing in the blog. I will get back in the groove soon. In the meantime, there are over 160 blog posts that I’ve written about a myriad of topics associated with dialysis (and some not so much). So, there should be something that will answer your questions. However, if you don’t see something, leave a comment. This entry was posted in dialysis, dialysis chair, ESRD, personal, thankful, thoughts and tagged dialysis, ESRD, hemodialysis, kidney, patient. Bookmark the permalink. Don’t worry about it. It happens.